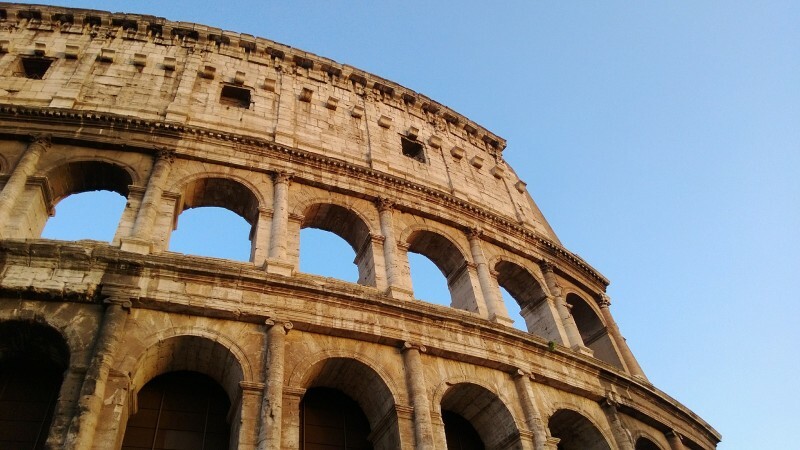 Rome, Tours & Excursions ancient rome, Colosseum, Colosseum dungeons & upper tiers tour, Colosseum for kids, Colosseum night tour, Colosseum tickets, Colosseum tours, gladiators, guided Colosseum tour, palatine hill, roman forum. permalink. The Colosseum is no doubt the most sought-after tourist attraction in Rome. It alone gets an average of 4.2 million visitors a year. That is why a little planning goes a long way if you want to avoid wasting precious hours in line. There are different Colosseum tours to choose from, and we give you the rundown below. But first, some background history about this iconic symbol of Imperial Rome. Construction of the Colosseum began in 72 AD under the emperor Vespasian, in the area occupied by the Domus Aurea, the imperial residence built by Emperor Nero in the center of the city. After Nero’s death, Vespasian decided to return the area to the Romans; in order to do so, he drained the lake that was part of the imperial residence and used the empty bed to put down the foundations of the Colosseum, which was to become the largest amphitheater ever built dedicated to the people of Rome. The Colosseum quickly became a central component of Rome’s social life, the place where Romans flocked to be entertained, especially by the gladiators’ combats, which were usually preceded by the venationes, the “hunts” between men and animals, and by public executions of criminals during the midday break. Our Colosseum tours are a great way to be transported back to the times and atmospheres of ancient Rome. Let’s take a look at what’s on offer. This is a Colosseum tour for those who want to explore at leisure and not be stuck in a group. The Colosseum and Roman Forum pass allows you to skip the lines at both sites, plus at the Palatine Hill – all with just one ticket! Reserve your date and time in advance, and you can even decide to see the Colosseum on one day and the Roman Forum with the Palatine Hill on the next. You can stay in the sites as long as you like. Note: we strongly recommend that you arrive 45-60 minutes in advance of your reservation time, as you will be required to go through a security check. 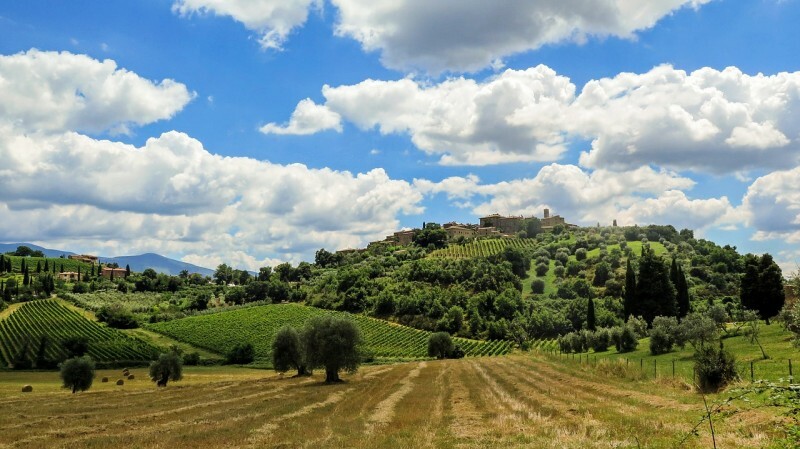 *With this pass, you get one Select Italy Gift Certificate valued at $5. Among the guided Colosseum tours on offer, this is the smartest! The Small Group Colosseum and Ancient City Tour provides an overview of Rome’s most significant archaeological sites combined with services that help you maximize your time: an officially licensed guide, headsets, entrance tickets, and no queue at the entrance. The three-hour tour departs in front of the Colosseum. You will head inside to hear the stories of gladiators and gory games taking place in the arena. 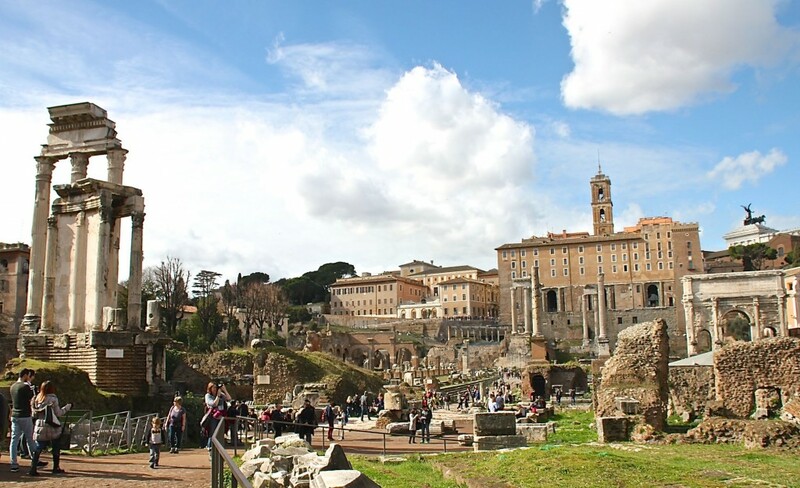 You will then head to the Roman Forum, the center of Rome’s public life for centuries. Highlights here include the Curia, headquarters of the Roman Senate; the Arch of Titus; the funeral altar of Julius Caesar; and the remains of the extraordinary House and Temple of the Vestal Virgins. The tour continues to the Palatine Hill, the site where Romulus founded Rome, for a view of the Imperial Palace built by Emperor Domitian and of the imperial family’s private stadium. The tour ends with a panoramic view over the Circus Maximus where chariot racers competed for glory in the first and largest stadium constructed during the Roman Empire. Get an exclusive peek at areas of the Colosseum that for a long time were closed to the public. 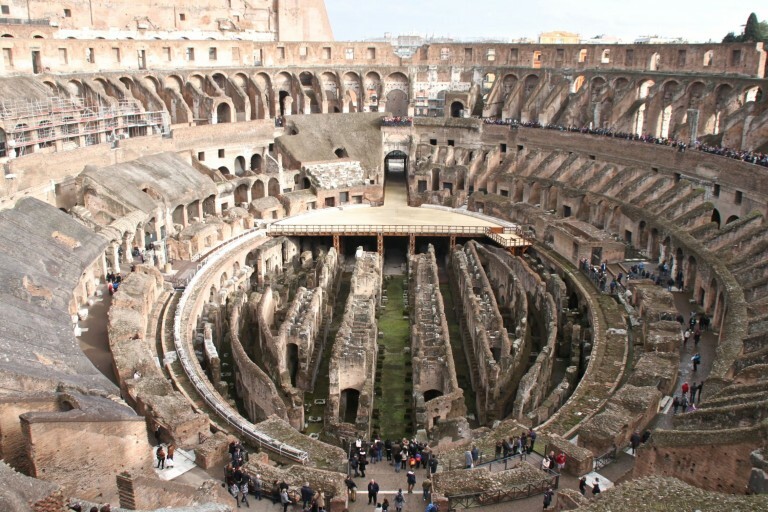 On the Colosseum Dungeons and Upper Tiers Tour, you will first descend into the underground dungeons and passageways, known as ipogei, where animals were caged and gladiators prepared for their bloody fights. You will also be able to see the lift platforms that were used to hoist them up to the arena floor when the “show” began. Your guide will then take you to the upper level of the amphitheater, which includes the second and third tiers, where you can enjoy a spectacular, bird’s-eye view of the Forum, the arch of Constantine and the monuments of Rome. This surely ranks among the most thrilling Colosseum tours! This is a fun Colosseum tour for families with children, centering around a “Magic Book”. Children will learn about ancient Roman history and feel transported back to the hustle and bustle of the Roman life of over 2,000 years ago thanks to an entertaining art historian guide. The tour starts inside the Colosseum where you will sit down in a circle with your kids to learn how the “Magic Book” works. Thanks to the historically accurate renderings, you will discover original and exciting aspects of the amphitheater. The tour/game moves on to the Palatine Hill and to the Roman Forum, where you will hear the stories of the goddess Vesta and the Vestal Virgins, as well as of famed emperor Julius Cesar; you will also visit the Senate House, one of the few ancient buildings still perfectly preserved.